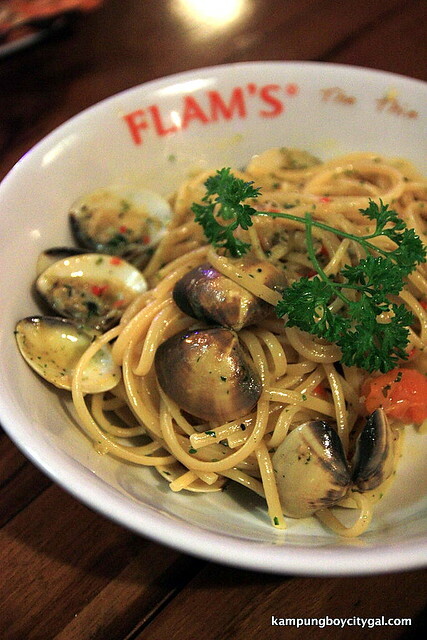 Flam’s has been around for quite some time but it wasn’t until much later that we dropped by for dinner. Flam’s forte is ‘tarte flambee’; a very thin base pastry originating from the north-east of France particularly the region of Alsace. 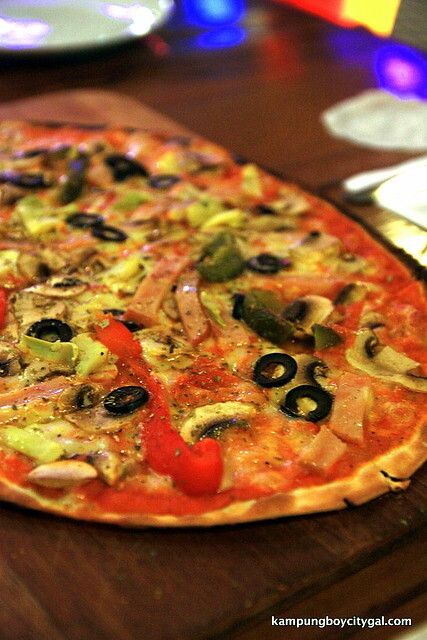 It is cooked in a very hot wood fired oven for a few minutes only. 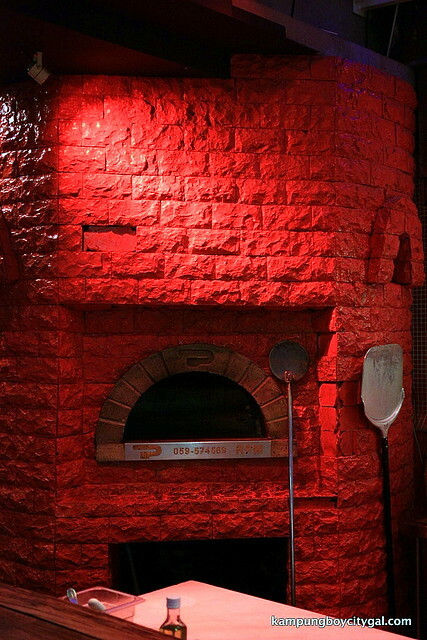 We knew we were in safe hands as Flam’s placed a huge wood-fired brick oven at the entrance of the restaurant. Thin Crust + Wood Oven; we always take these two as the main indicator of a good pizza. 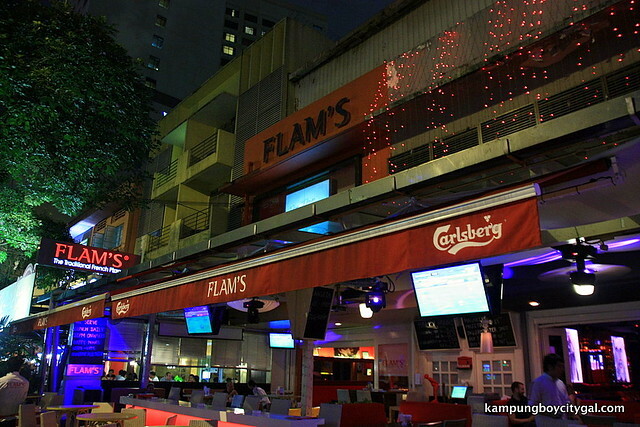 Flam’s tastefully designed interior is modern and spacious, with a backdrop of soft soothing music that creates a truly unique dining experience. Lathered with tomato sauce and topped with a generous amount of turkey ham, mushrooms, artichoke, read and green capsium, olives and cheese; the tarte flambee was savoury, satisfying and addictive. 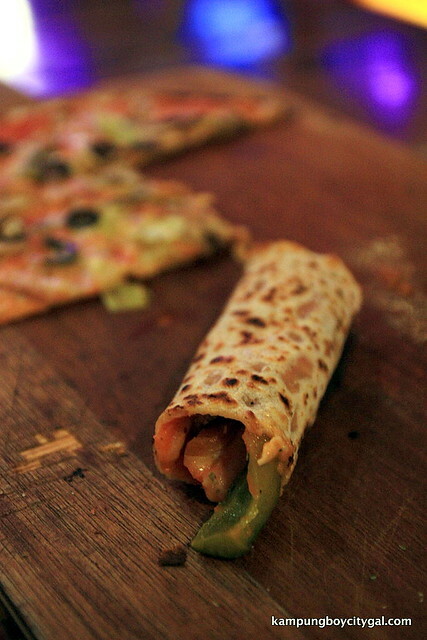 The best way to enjoy a tarte flambee is to roll it and eat it with yoyr hands, we were told. Our order of oven-baked snails in garlic and parsley butter came shortly after. 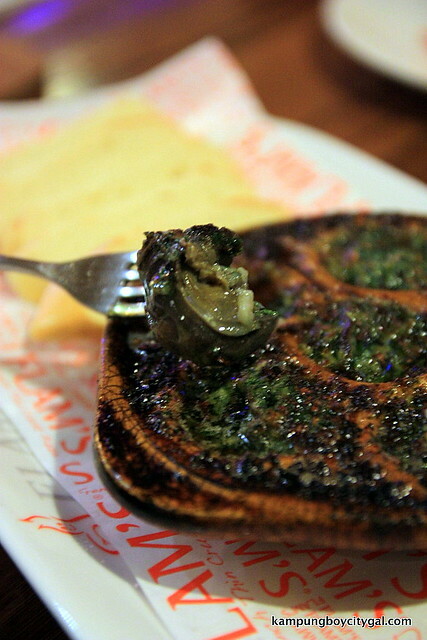 It is a classic way of preparing escargots in France and we enjoyed it very much. Don’t forget the crusty breads; they soak up the remainder of the sumptuous sauce. 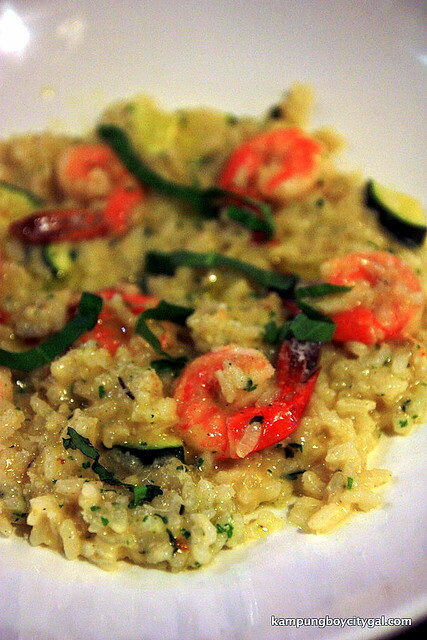 Served with pan-seared prawns, zuchini, parmesan cheese, italian style rice and fresh herbs; the risotto was so creamy and tasty. It was also perfectly cooked with the right consistency – not be hard and stick to the serving spoon, nor too soft and mushy. It would be excellent if the chef was not too heavy handed with the salt. 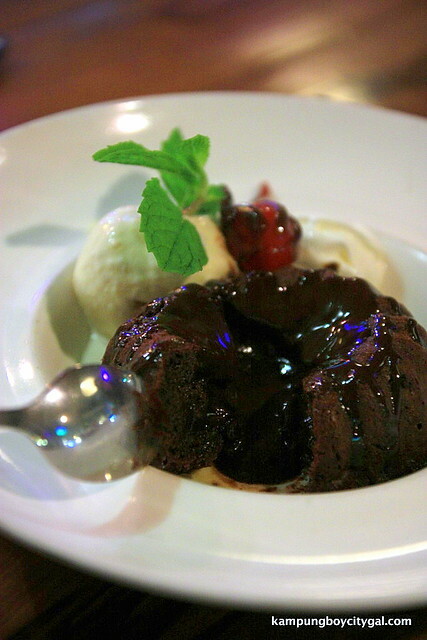 There’s nothing better than savouring a smooth and rich chocolate cake punctuated with plenty chocolate sauce. What a perfect sweet ending. 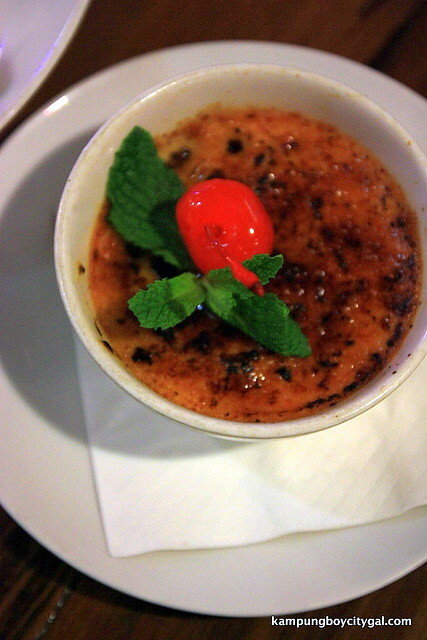 Topped with a crunchy, caramelized layer, the Creme Brulee was custardy and creamy. Just the way we like it! 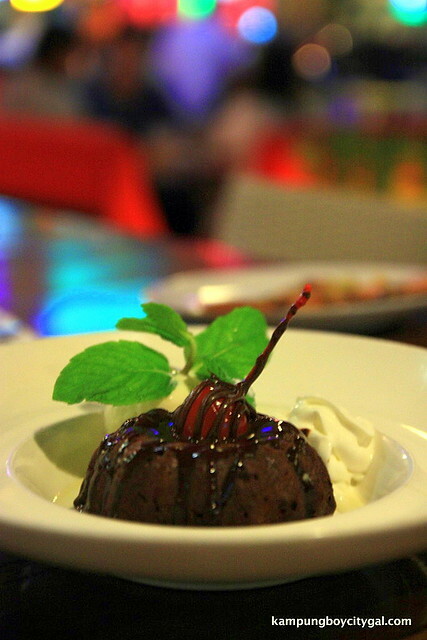 the escargot dish looks tantalizing! We loved the tarte flambee when we ate here too.. so chewy and addictive and before we knew it, we were too full already :p Been wanting to go back to try the sweet tarte flambee with fruits! I’ve tried this place before too! 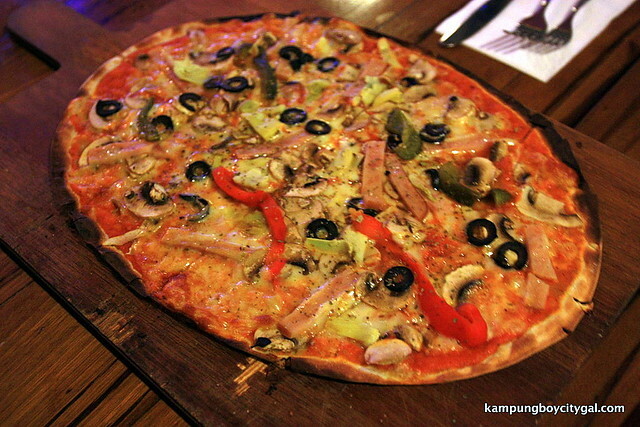 Love their thin crust pizza~!